Wheaton College is proud to have one of its own participating in the 2010 Winter Olympics in Vancouver, British Columbia. Speedskater Nancy Swider-Peltz, Jr., the daughter of Jeff Peltz ’81 (college postmaster, football coach), sister of Jeffrey Peltz (Class of 2013), granddaughter of Donna Peltz (financial aid), and niece of Mike Swider ’77 (Head football coach) will be participating in the Women’s 3000m and Team Pursuit [WATCH quarterfinal win against Canada and semifinal loss against Germany]. 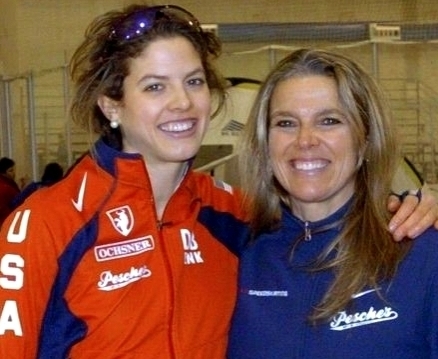 The Peltz family is no stranger to the ice as Nancy follows in the footsteps of her mother and coach, four-time Olympian and 1981 Wheaton alumna Nancy Swider-Peltz, Sr. who was a member of the U.S. Olympic Speedskating Team in 1976 (Innsbruck, Austria), 1980 (Lake Placid, New York–USA), 1984 (Sarajevo, former Yugoslavia), and 1988 (Calgary, Alberta–Canada). *Born and raised in Park Ridge, IL, Nancy Swider was introduced to speedskating at age six and by twelve was racing competitively across the state. During her time at Maine South High School she won national championships in both short and long track pack-style racing. After spending the fall quarter of 1974 at Wheaton College, Nancy pursued her Olympic aspirations by taking time off from school to train and compete in Europe. The experience paid off in an Olympic team berth the following winter and a seventh place finish in the 3000-meter race at the 1976 Innsbruck Games. 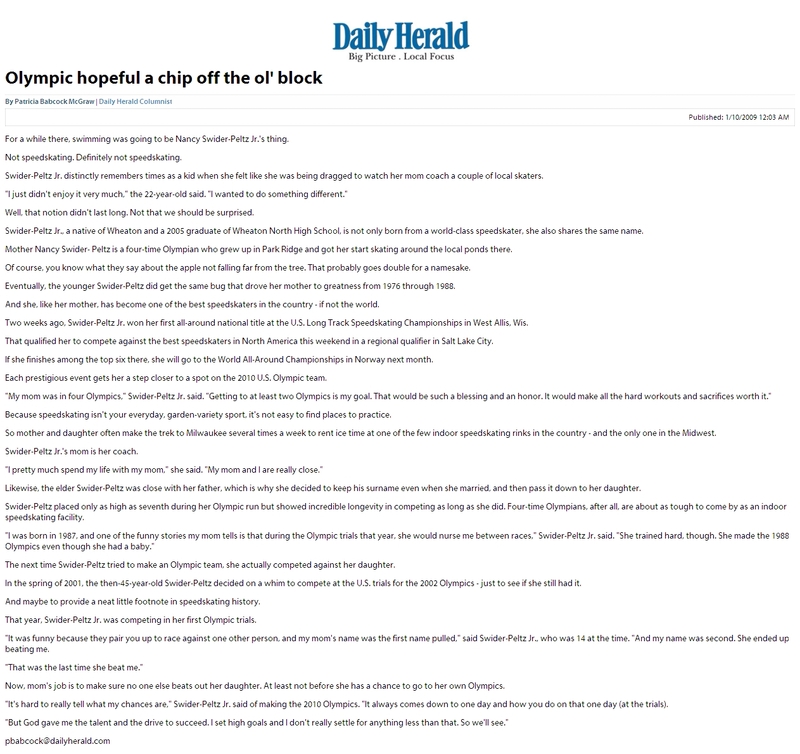 The difference between Olympic gold and Nancy’s seventh place finish was two-and-a-half seconds. Shortly after the Olympics, Nancy cemented her place among the sport’s elite by breaking her first world record in the 3000 meters by four seconds. Nancy continued her involvement in skating for the next three years by attending Wheaton College during the fall, spring and summer quarters, and traveling to Europe to race in the winters. She secured her second world record in the 10,000m during 1980 and made her second Olympic team to Lake Placid as an alternate. Nancy retired from skating and returned to college to finish her education. She soon emerged from retirement and returned to full-scale training to secure a spot on the U.S. team at the 1983 World Championships. An incident during that come-back year gives insight into her character and determination. On the morning that she was to fly to Europe for six weeks of training, Nancy squeezed in a final work-out on roller blades in a large parking lot near O’Hare Airport. As she glided around a makeshift track, marked off by tennis shoes, she was distracted and caught a roller blade on one of her markers, taking a nasty fall onto bare asphalt. Her injuries were diagnosed as a fractured chin and jaw and several broken teeth, but after receiving a few stitches, she still caught her flight, three hours after the accident. With the condition of her jaw, Nancy was forced to mash her food the entire six weeks, waiting until after her trip to have her teeth fixed. Swider’s perseverance was rewarded with an Olympic-sized prize as she competed in two races in the 1984 Sarajevo Games, finishing eighteenth in the 1500 meters and tenth in the 3000 meters, and again, Nancy retired from skating after the Olympics. 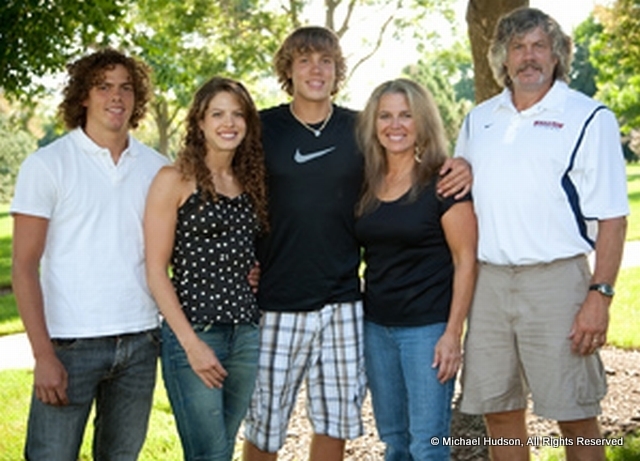 In 1985 she married Jeff Peltz ’81, who had become an active member of her support team. While Jeff was running the Wheaton College Post Office and coaching football, Nancy began to work with the U.S. Speedskating Association. By using her experience to coach young skaters, two of her own pupils would become her 1988 Olympic teammates. When Jeff and Nancy’s nine-plus pound daughter, Nancy Jr., arrived by cesarean section in January 1987, a spot on the Olympic team and coming out of retirement (again) seemed out of the question. The Olympic team selection was only eleven months away, nevertheless, Nancy (Sr.) began to bicycle and swim, placing third in the Crystal Lake Triathlon later that August. By October she had lined up financial sponsors and, with her recently retired father as coach, was off to Calgary with the baby to get in some ice time on the world’s only 400-meter indoor skating oval. 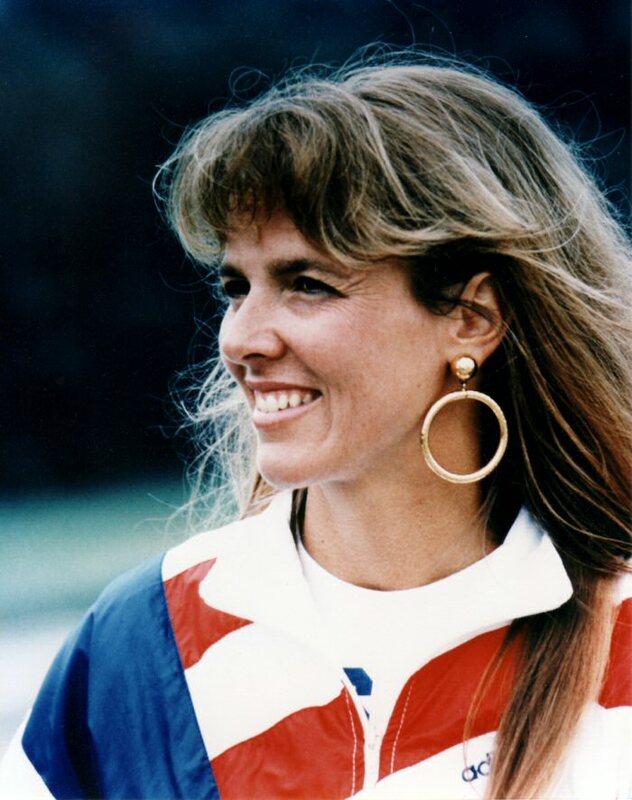 Upon her qualification for the 1988 Winter Games in Calgary, Nancy Swider-Peltz became the first American in history to qualify for four Olympic Winter Games. 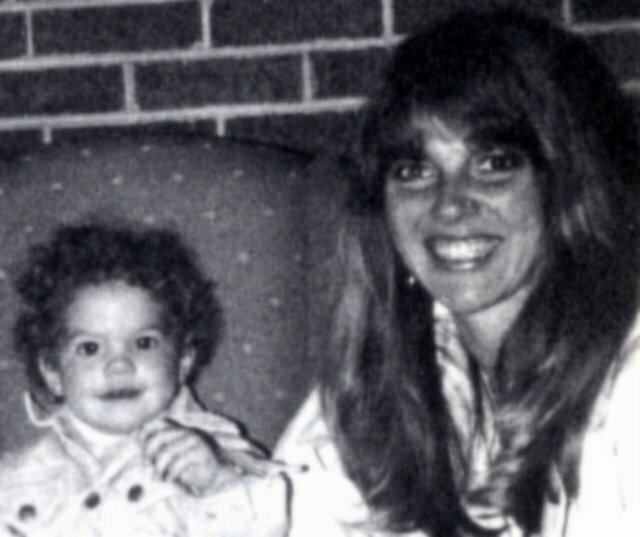 In between world-class competitions and breast feeding Nancy Jr., mother and daughter were one of the frequent human interest stories of the 1988 Calgary Winter Games featured on ABC’s Olympic coverage, “Good Morning America” program and in Time magazine, USA Today and numerous other publications. In 1992 Nancy, Sr. was inducted into the Wheaton College Athletic Hall of Honor where in addition to her Olympic accomplishments; she was recognized for earning All-American honors in five swimming events during her senior year (the only complete year she spent on campus). 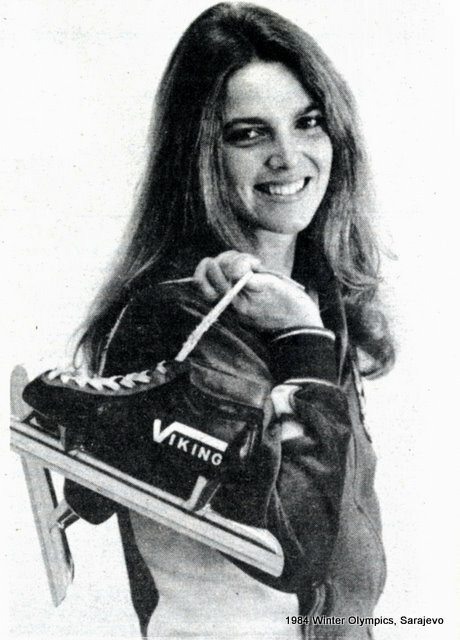 Nancy Swider-Peltz is also a member of the National Speedskating Hall of Fame.